In September 1998 the Michigan Conference became the first in the North American Division (NAD) to create a department focused solely on ministry on secular university and college campuses. A year later, CAMPUS (Center for Adventist Ministry to Public University Students) was established as the nerve center of Michigan Conference’s Public Campus Ministries Department. Previously located in Ann Arbor, MI, near the University of Michigan, CAMPUS was widely recognized for developing a credible Seventh-day Adventist secular campus ministry in North America. It is also widely perceived as the major center of grassroots spiritual revival that is taking place among Adventist students and youth around the world. In 2011, the CAMPUS headquarters was moved to East Lansing with the purchase of a house just a few black from the campus of Michigan State University.  The CAMPUS ministry continues to train students, lay people and pastors to minister to the public university populations. The CAMPUS motto-“Taking Higher Education Higher” – reflects CAMPUS’s philosophy of excellence-academic excellence combined with spiritual excellence. CAMPUS believes that “higher education” must lead students to the “Most High” and seeks to make this objective an actual reality in the lives of all students. Thus, of the different models of Adventist secular campus ministries, CAMPUS takes seriously the challenge of presenting the Three Angels’ messages to public universities. Patterning its training programs after the example of Ezra, CAMPUS seeks to encourage students to “study,” “practice,” and “proclaim” our distinctive Seventh-day Adventist message (Ezra 7:10). Students must be carefully instructed in the fundamentals of the Adventist faith. Students must be encouraged to actively share their faith. CAMPUS has a viable, sustainable, carefully-planned, and year-round program of training for students. CAMPUS is the birth place of GYC, a thriving, grassroots, revival movement organized and led by Adventist young adults. CAMPUS has a biblically-grounded philosophy and methodology of ministry. CAMPUS is one of the few ministries that has succeeded in actually creating a truly racially-diverse and mission-driven student movement.